What causes you to fret? Better yet, how do you stop fretting? Our insurance agency emailed me with information on how to post claims for Hurricane Florence. Not. a. good. sign. I opened my browser to see the latest storm update. It looks like Florence has targeted our fair city. We’re tempted to fret when pain or loss threatens us. 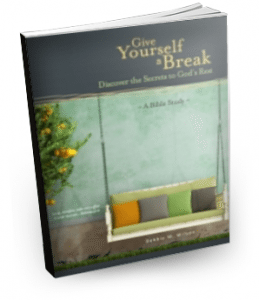 The Bible tells us not to fret—because fretting itself causes harm. Don’t fret and worry—it only leads to harm” (Ps. 37:8 NLT). Our hurricane alert has reminded many of us of the devastation Hurricane Fran caused on her trip through Raleigh. Preparing for a hurricane is ripe with opportunities to fret—or not to fret. I pulled in for gas and saw most of the pumps sporting hand-scrawled signs saying they were empty. The pump that still worked had only one of three grades left. I’d just returned from a long road trip and was driving on fumes. As my car drew closer, I began to relax—until I watched the car in front of me. The driver opened her trunk and began to pull out large generator containers for gas while she waited for her car to fill up. The more containers she filled, the more fervently I prayed. After filling her fourth container she closed her trunk and gave me an apologetic smile. I hoped that didn’t mean she’d emptied the pump. Thank the Lord, there was! 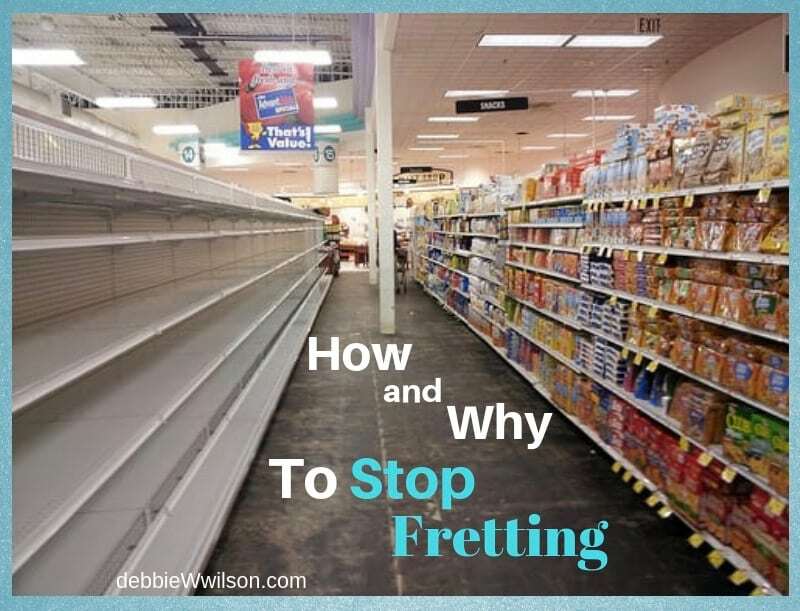 From the empty shelves in the grocery stores to long lines at the gas pumps and the general concern of not knowing what will happen, this is a good time to practice the remedy for fretting. Psalm 37 tells us what to do instead of worrying. Trust also in Him, and He will do it” (Ps. 37:4-5 NASB). Pamper ourselves in the Lord. Take exquisite delight in the Lord. Make merry over the Lord. When we take the focus off of our problems and frustrations and choose to rest in God’s goodness then we cease fretting and experience peace. Try it this week. Whenever you feel angst rising inside, submerge your thoughts in God’s goodness. Luxuriate in His love. And let me know what happens. And please join me in praying for those in Hurricane Florence’s path. Question: Is your city in Hurricane Florence’s path? If so, how are you preparing yourself? Blue Letter Bible. “Dictionary and Word Search for `anag (Strong’s 6026)“. Blue Letter Bible. 1996-2011. 1 Sep 2011. <http://www.blueletterbible.org/lang/lexicon/lexicon.cfm? Awesome! 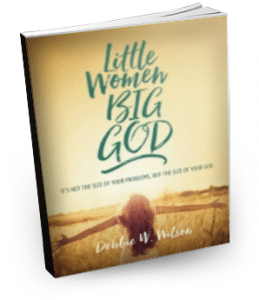 Isn’t God so tender to give us the encouragement we need just when we need it?! Thanks for sharing that, Stephanie. Thank you for this message. We are in Mount Pleasant SC near Charleston. Very scary. Thank you for the reminder to give my worries and fears to Him. Praying for safety for every person and every animal. Amen! We are praying for all too, Melissa. May He give His angels charge concerning you! Our city is not, Debbie, but I have several friends who are and I am praying for them and you and everyone in the path of the storm and commanding the storm to shift east and go out to sea! Thank you for your prayers, Ann. Our daughter is flying in from overseas and her flight to Raleigh was canceled this morning. She was to arrive tonight. Trusting God with our worries and problems is the solution. Thanks for this reminder. I needed this. I don’t live where the hurricane will hit, but I am attending a conference inland of the east coast. Will see if it is cancelled or if it isn’t. Theresa, storms remind us of the dependence we have on the Lord every day. I hope your conference isn’t canceled. We’ve already lost power once. I’m attached to my comfort. Going without AC and running water is not fun in this heat and humidity. While my town is not, I am praying for many I know who are being affected. Wonderful reminder that we can trust Him in the midst of any storm. Amen, Joanne. Thanks for your prayers. The prayer of a righteous person accomplishes much. Wow, Debbie. What a life experience you are having. Thank you for sharing your wisdom. My daughter is in Columbia, S. Carolina, too far inland to be in much danger. Her school has closed, and just about 30% of the students are still in the dorms. It has been a new way of trusting God for me! Betsy, when our kids are in places we can’t help it is a different form of trusting. Glad she is safe. Thanks for sharing.